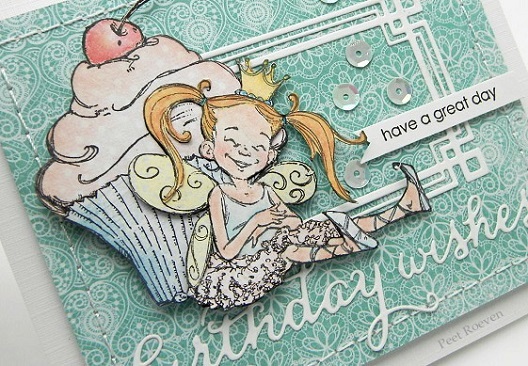 40-098 Soft Wings slapstick/cling stamp. 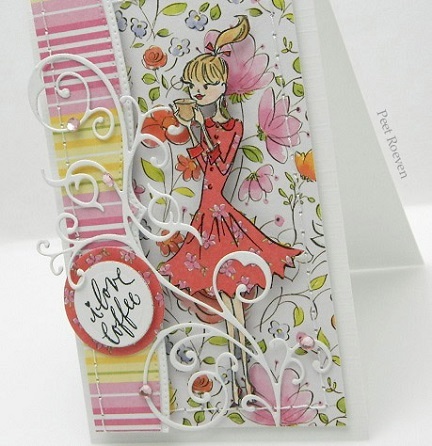 80-008 Gentle Whisper Paper Pad. 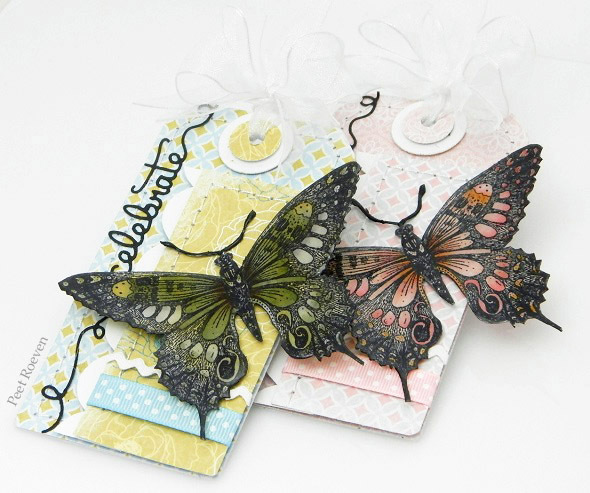 51-128 Doodles & 51-007 Tagged Creative Dies. 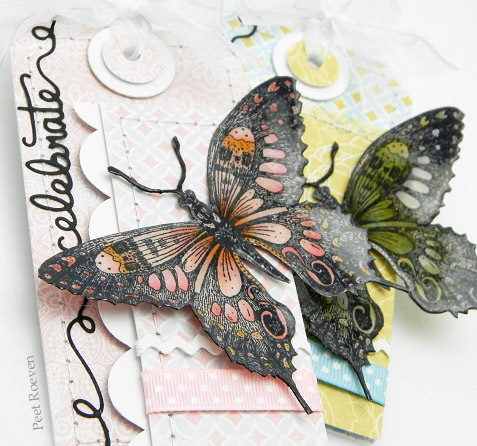 Other: Distress Inks, Glossy Accents & Ribbons. 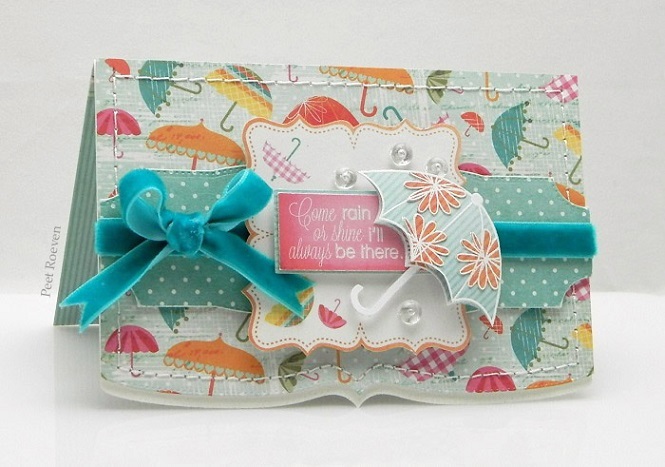 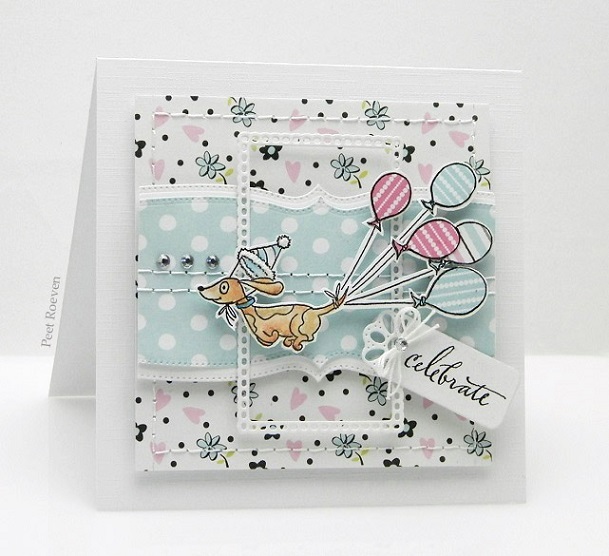 51-057 Polaroid , 51-051 Tabs & Toggles Creative Dies. 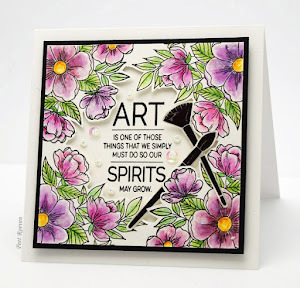 Other: Derwent Colored Pencils, Button, Rhinestones. 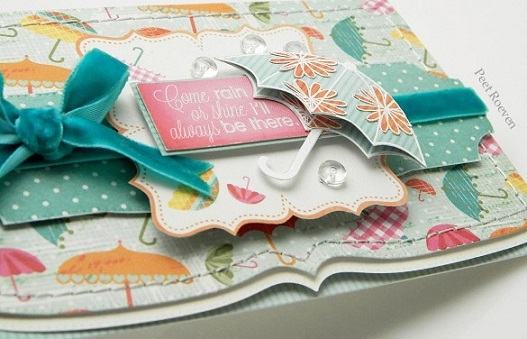 51-040 Hello Frame Creative Die. 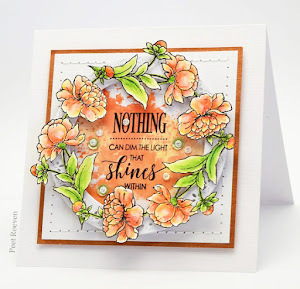 Other: Distress Inks, Derwent Inktense Pencils, Glossy Accents, Ribbon, Rhinestones. 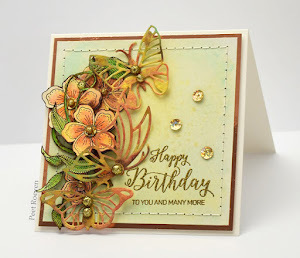 Other: Distress Inks, Derwent Inktense Pencils, Ribbon, Button, Rhinestones. 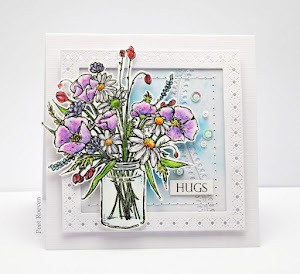 Other: Derwent Inktense Pencils, Ribbons, Button, Rhinestones. 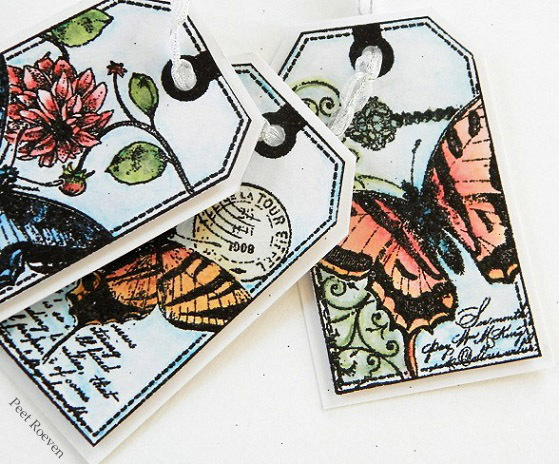 51-136 Stitched Edges & 51-124 Flower Tags Creative Dies. 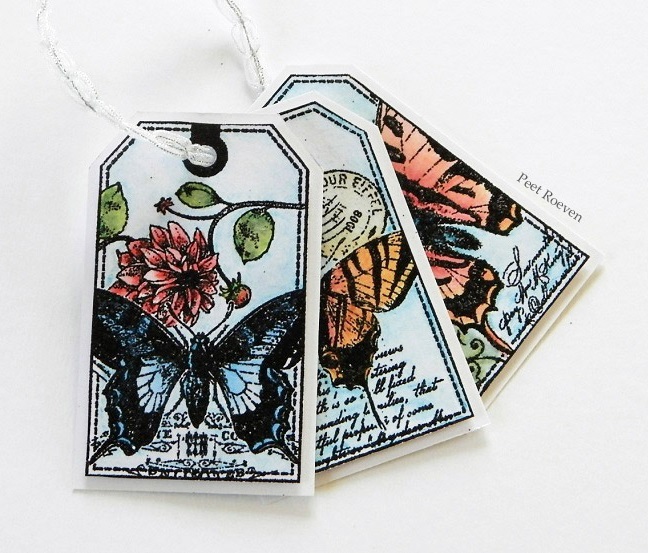 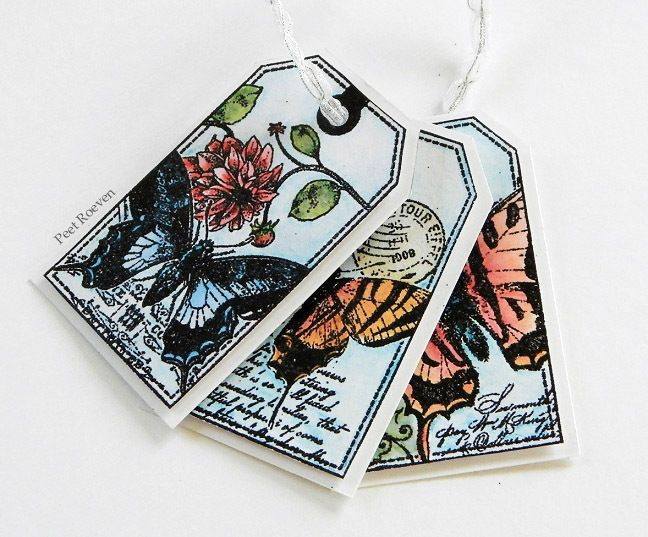 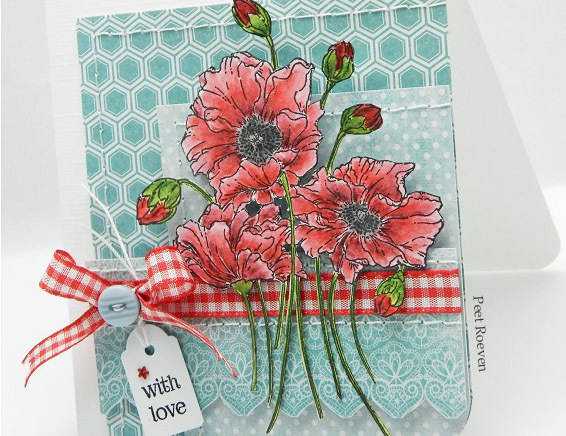 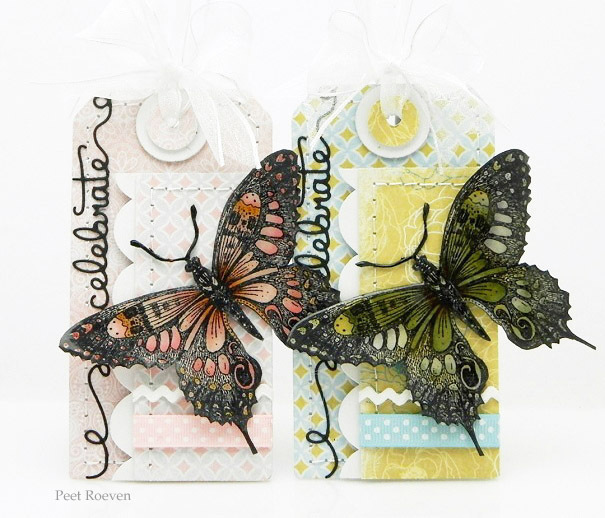 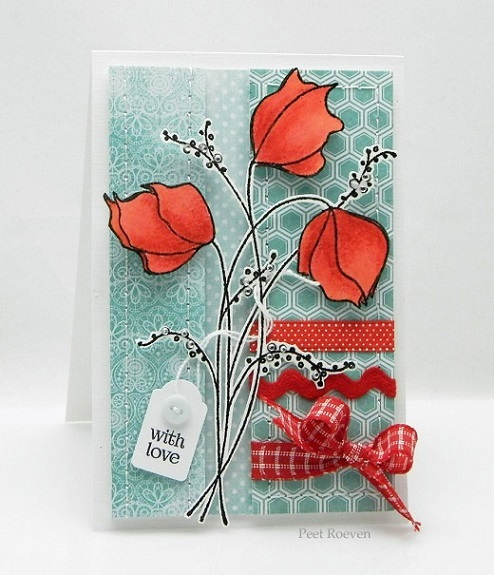 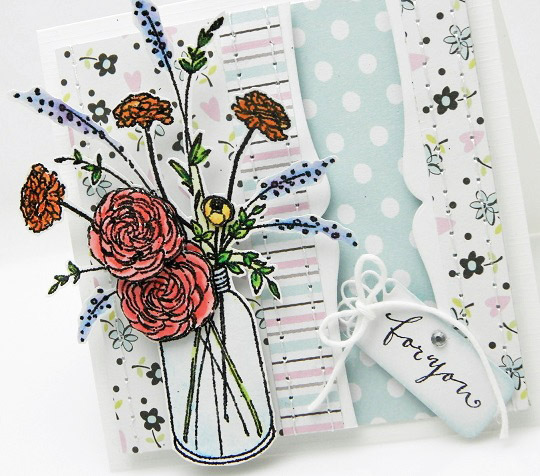 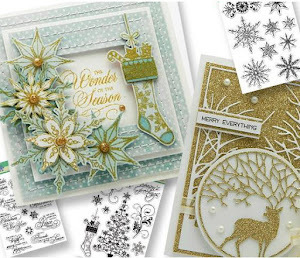 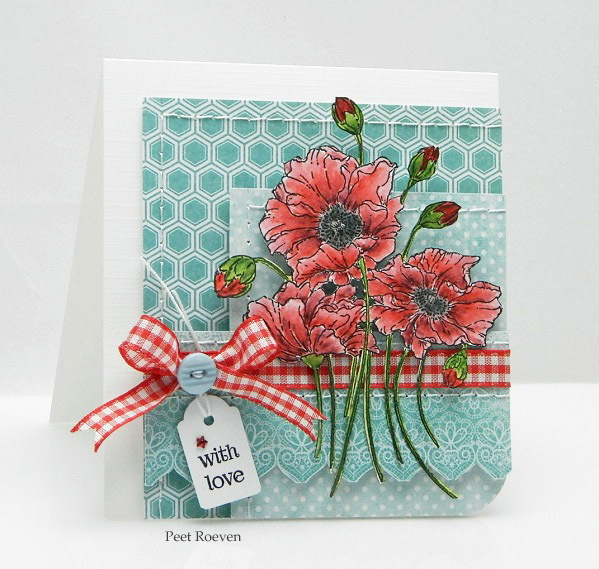 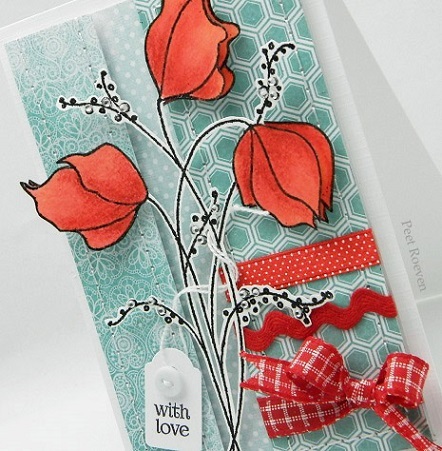 You can find A tutorial on the Penny Black blog. 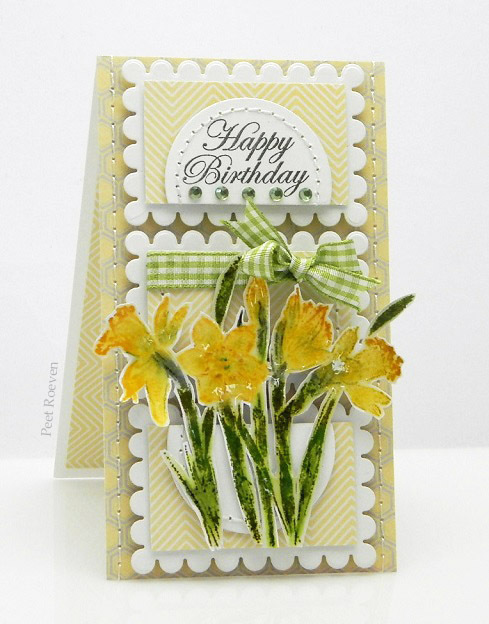 51-125 Deco Frame Creative Die. 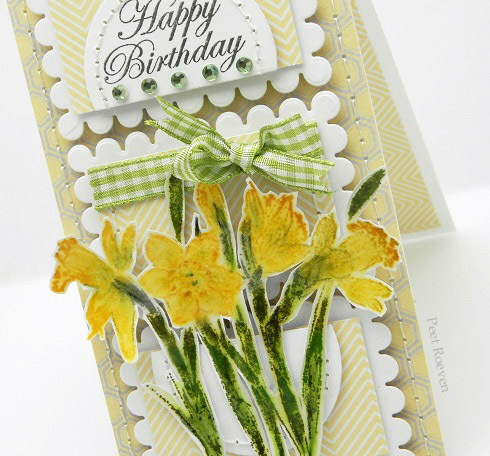 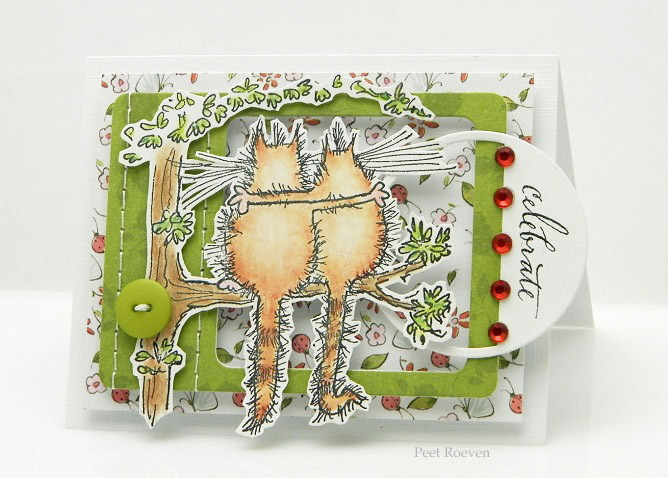 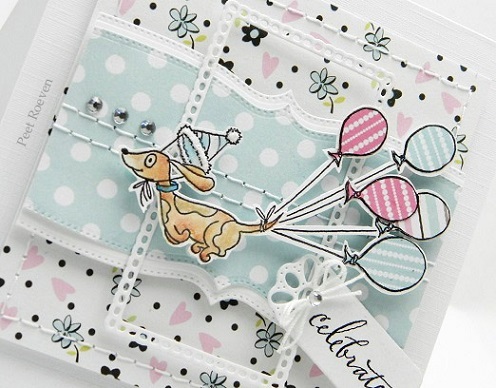 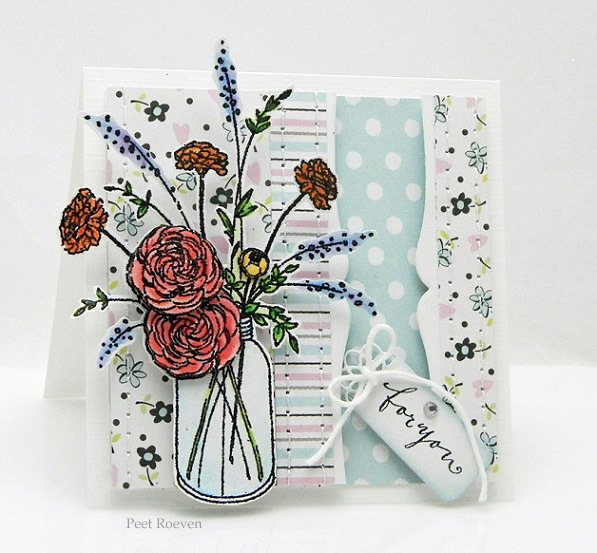 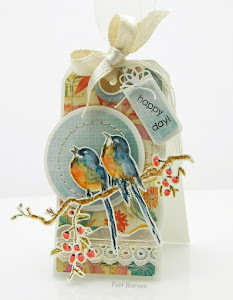 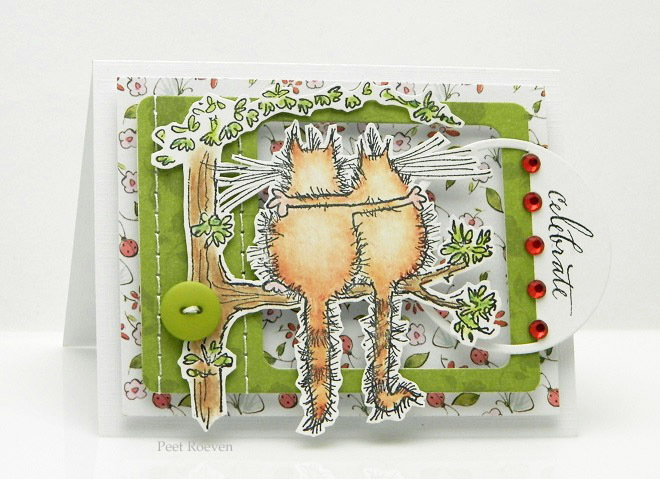 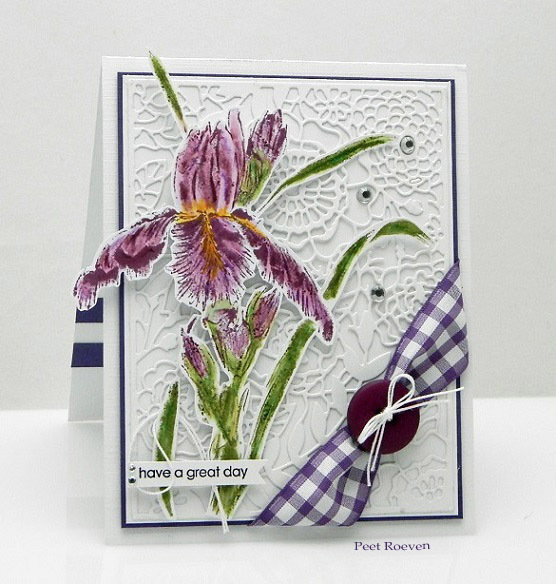 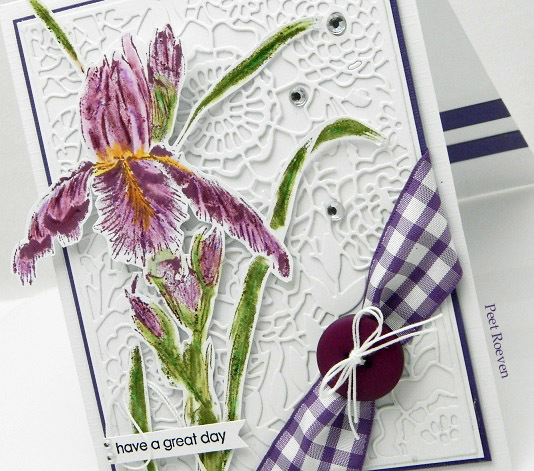 Here's another card made with the new Penny Black release. 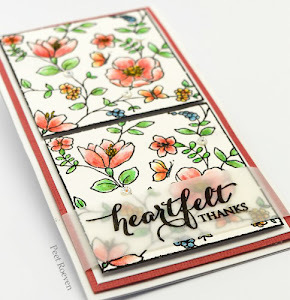 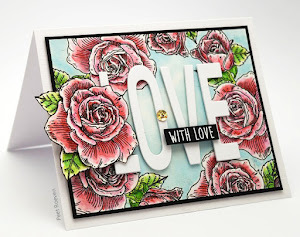 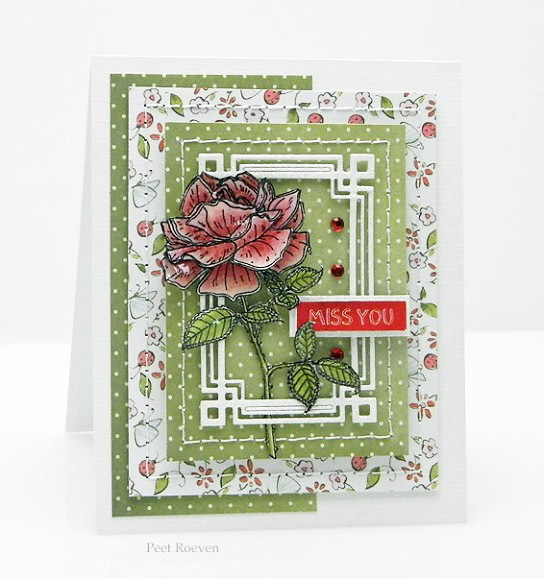 You can find the photo tutorial on the Penny Black blog. 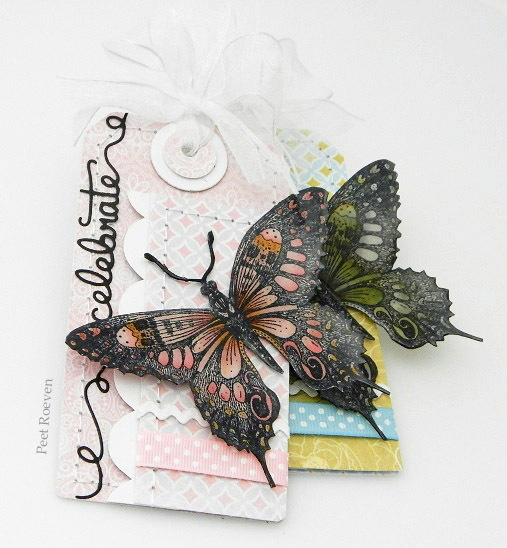 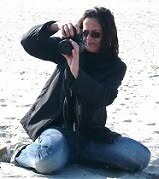 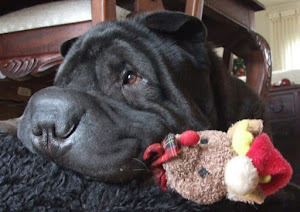 Please check out the Penny Black Blog to see the *How To* photo tutorial. 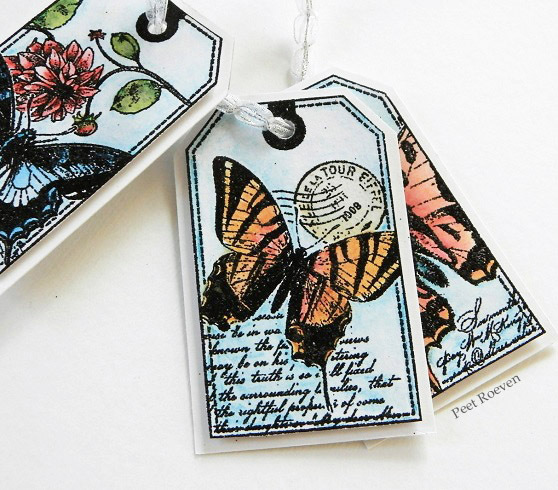 51-136 Stitched Edges, 51-114 Flower Portrait & 51-124 Flower Tags Creative Dies. 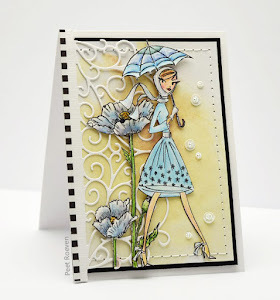 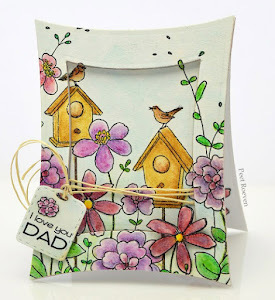 Check out the Penny Black Blog to see the *How To* photo tutorial. 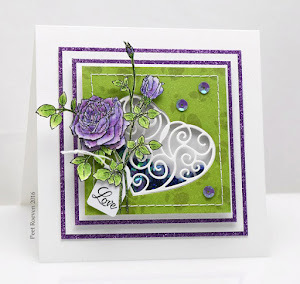 Embossed with black glitter embossing powder then colored with Derwent Inktense Pencils. 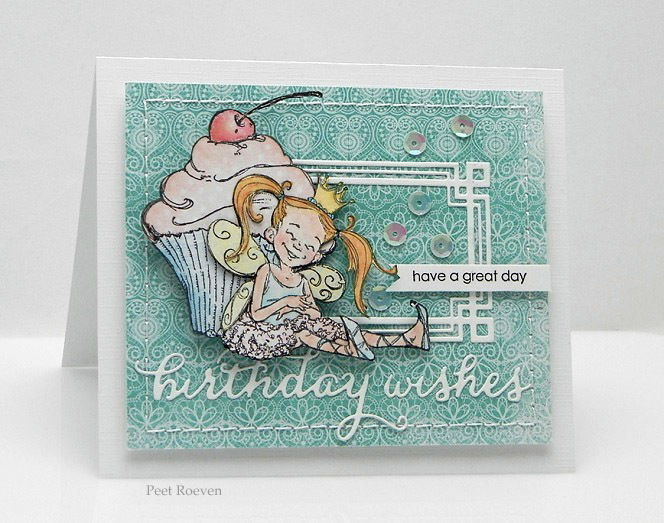 30-283 Snippets (sentiment) transparent stamp set, 80-008 Gentle Whisper Paper Pad. 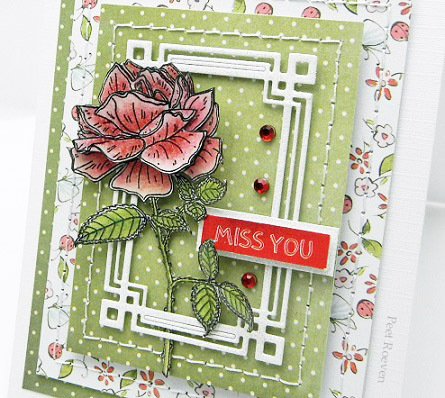 Other: Derwent Inktense Pencils, Ribbon, Button, Rhinestone.